While re-thinking the new Mk V we felt it was very important to maintain the design signature of the original Paris turntable. Everything else is a total redesign! The Oracle mechanical design concepts are always intimately linked to the overlapping of different materials interacting within a same assembly for an optimal control of vibrations and resonances. The Paris Mk V follows that same construction philosophy. Compared with the Delphi MK VI which has a very sophisticated full floating spring suspension and micro vibration stabilizer system, the Paris suspension is very efficient while being much simpler. It has been completely redesigned taking into account the findings that led to the development of the Delphi MK VI. 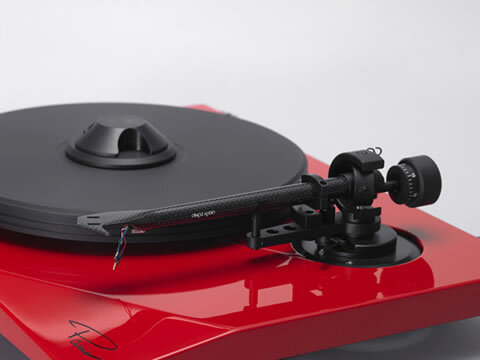 The platter and tonearm are mounted on a semi floating chassis using a suspension made of fiberglass rods and sorbothane rings. The combination of these materials contributes to virtually eliminate the access of unwanted vibrations to the semi floating chassis where the platter, the tone arm and the phono cartridge are interacting. The Paris tonearm, , features a micro vibration damping system specially developed by Oracle to eliminate undesirable resonances and vibrations generated within the tonearm itself dued to the interaction of the needle with the disc. The combination of the suspension efficiency coupled with the micro vibration control system provides true isolation from the external environment allowing the stylus to retrieve the most accurate information from the record groove. 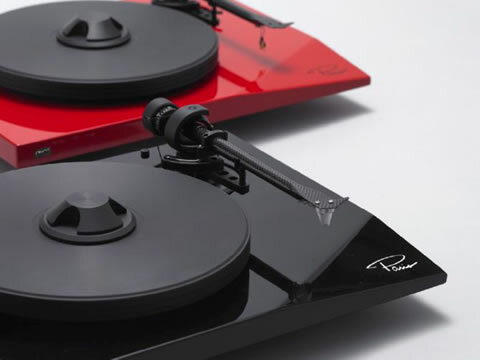 The Paris is a belt driven turntable and has a low voltage synchronous AC motor. The drive electronics of the Paris has a very high precision oscillator circuit which creates a perfect sine wave signal to feed the motor ensuring high rotational accuracy for optimal speed stability. This system also isolates the drive electronics from line voltage impurities and fluctuations. The above features combined to the choice of materials are the essence of a high performance turntable and together explain the Paris outstanding music reproduction! Paris tone arm, the basic structure is the Project 9CC carbon tone arm. Oracle Audio developed the micro vibration silicone damping device for this tone arm.